HowMechanismWorks ? : What is HEAT PUMP ? How does it works ? What is HEAT PUMP ? How does it works ? 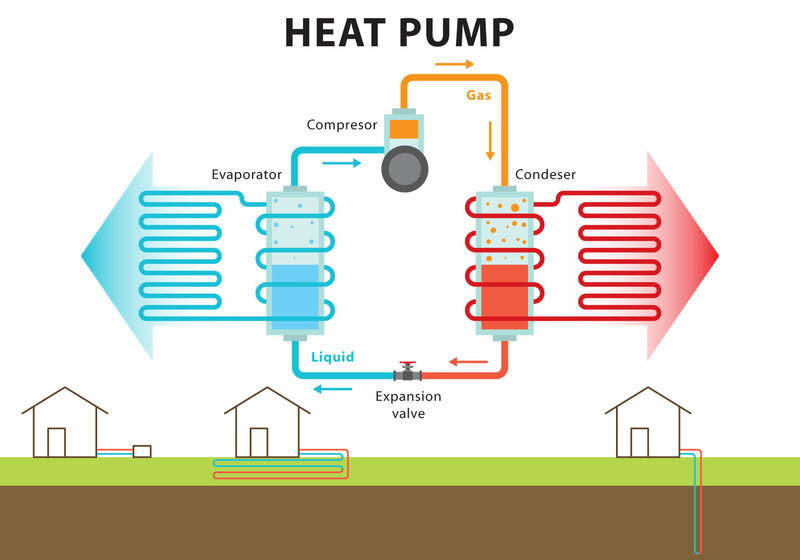 WHAT IS HEAT PUMP ? A heat pump is a device that acts as an air conditioner in the summer and as a heater in the winter. Heat pumps look and function exactly like an air conditioner except it has a reversible cycle. It contains a 4-way reversing valve that lets it switch between "air conditioner" and "heater." 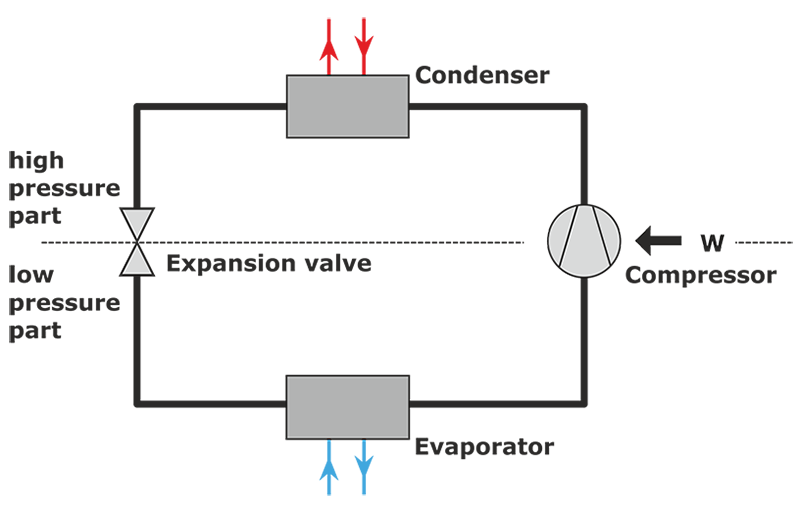 Air-to-air - Uses air as the outdoor source of heating or cooling and delivers heating or cooling to air indoors. A condenser absorbs heat from the outdoor air (even the coldest air contains some heat) and transfers it to an indoor heat exchanger. Indoor air is warmed in the heat exchanger and circulated throughout the interior space. During the summer, the process is reversed to cool and dehumidify the home. Water-to-air - Uses water as the source of heating/cooling, delivers heating/cooling to air indoors. Instead of extracting heat from outside air, this type of pump absorbs heat from ground water or surface water, such as a farm pond. Air-to-water - Uses air outside, water inside: useful where there is a demand for hot water as well as for air cooling and dehumidification). Ground-to-air - Also known as a geothermal system, this type of heat pump uses underground loops to absorb heat from the earth. Geothermal systems are usually installed in newly-built homes, but can also be used in existing home. An indoor unit called an air handler and an outdoor unit similar to a central air conditioner, but referred to as a heat pump. A compressor circulates refrigerant that absorbs and releases heat as it travels between the indoor and outdoor units. Heat pumps are typically used to pull heat out of the air or ground to heat a home or office building, but they can be reversed to cool a building. In a way, if you know how an air conditioner works, then you already know a lot about how a heat pump works. This is because heat pumps and air conditioners operate in a very similar way. Think of a heat pump as a heat transporter constantly moving warm air from one place to another, to where it’s needed or not needed, depending on the season. Even in air that's seems too cold, heat energy is present. When it's cold outside a heat pump extracts this outside heat and transfers it inside. When it’s warm outside, it reverses directions and acts like an air conditioner, removing heat from your home. One advantage of a heat pump is that it provides both heating and cooling capabilities in one unit. Electric heat pumps are usually supplemented with a backup system, such as radiant floor heaters or baseboard units, in case of extended periods of extreme low ambient temperatures.Another advantage of a heat pump is that it provides both heating and cooling capabilities in one unit. Electric heat pumps are usually supplemented with a backup system, such as radiant floor heaters or baseboard units, in case of extended periods of extreme low ambient temperatures. Compressor: Moves the refrigerant through the system. Some heat pumps contain a scroll compressor. When compared to a piston compressor, scroll compressors are quieter, have a longer lifespan, and provide 10° to 15°F warmer air when in the heating mode. Control board: Controls whether the heat pump system should be in cooling, heating or defrost mode. Coils: The condenser and evaporating coil heat or cool the air depending on the directional flow of refrigerant. Refrigerant: The substance in the refrigeration lines that circulates through the indoor and outdoor unit. Reversing valves: Change the flow of refrigerant, which determines if your interior space is cooled or heated. Thermostatic expansion valves: Regulate the flow of refrigerant just like a faucet valve regulates the flow of water. The accumulator: A reservoir that adjusts the refrigerant charge depending on seasonal needs. Refrigeration lines and pipes: Connect the inside and outside equipment. Heat strips: An electric heat element is used for auxiliary heat. This added component is used to add additional heat on cold days or to recover from lower set back temperatures rapidly. Ducts: Serve as air tunnels to the various spaces inside your home. Thermostat or control system: Sets your desired temperature. Because heat pumps move heat rather than generating heat, these can provide up to 4 times the amount of energy they consume. If you heat with electricity, a heat pump can trim the amount of electricity you use for heating by as much as 30% to 40%. High-efficiency heat pumps also dehumidify better than standard central air conditioners, resulting in less energy usage and more cooling comfort in summer months. The measurement of heating efficiency of a heat pump is the coefficient of performance (COP). It is the ratio of heat output to electricity input using the same units (BTUH or kW). 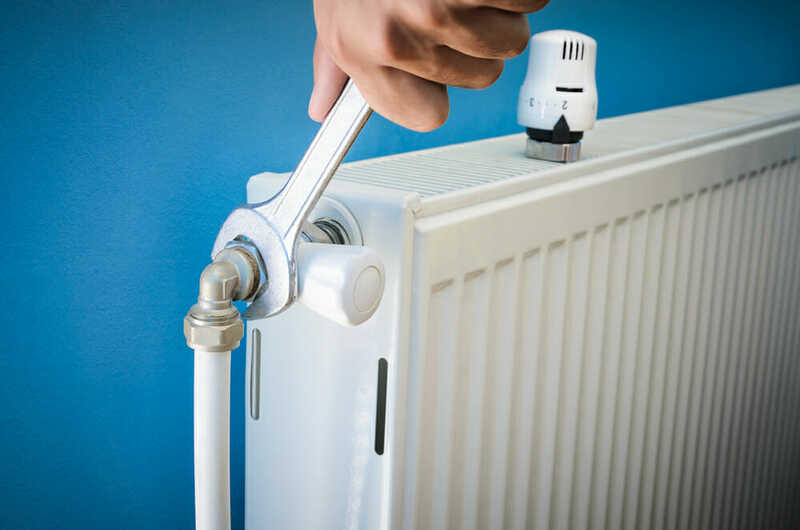 A heat pump delivers from 1½ to 3½ units of heat for every unit of electricity it uses; saves from 30 to 60 per cent electric heating bills, depending on the geographic location and equipment used. COP of a heat pump is generally greater than 1. Heat output of a heat pump, in terms of BTUH per kWh, is a product of its COP and a factor of 3400 (e.g. if the COP of a heat pump is 1, then its heat output would be 1x 3400=3400 BTUH per kWh). The heating efficiency of a heat pump may also be measured using a rating known as HSPF (Heating Season Performance Factor). This rating is obtained by multiplying the COP of a heat pump by a factor of 3.4. How Do HVAC Radiator Works ? Clear Explanation About Refrigeration Cycle Process. How Radiant Floor Heating Works ? Get Recent Update Through Email..
Top 20 Interview Questions On Mechanical Measuring Instruments And Gauges.